(Bloomberg) -- Oversea-Chinese Banking Corp. is looking for a Chinese firm to team up with on a securities joint venture on the mainland, the latest foreign bank seeking to capitalize on the nation’s financial-industry loosening. Obtaining a Chinese securities license would allow OCBC to do asset management, investment banking and fund management business in the nation, Chief Executive Officer Samuel Tsien said in an interview in Singapore this week. Southeast Asia’s second-biggest bank by assets is talking to various firms that have shown an interest in such a partnership, he said. “We will prefer to partner with companies that have a larger franchise already” so OCBC can sell into its existing client base, Tsien said, adding that the bank hasn’t applied for a license yet. Under President Xi Jinping, China is gradually taking steps to give foreign financial firms more access to the world’s second-largest economy. That’s prompted banks from Credit Suisse Group AG to JPMorgan Chase & Co. to seek a piece of the more than $40 trillion financial industry through controlling stakes in local ventures. UBS in December became the first foreign bank to gain majority control of a Chinese securities joint venture under new rules. JPMorgan and Nomura Holdings Inc. received their approvals last month. Any Chinese joint venture would complement OCBC’s existing business in the country, which includes corporate, consumer and wealth banking. Tsien said OCBC is on track to achieve a goal of doubling pretax profit in China’s Greater Bay Area to S$1 billion ($740 million) by 2023. “It’s possible that we’re able to beat that,” he said. China is embarking on a sweeping plan to combine nine cities in the Pearl River Delta with Hong Kong and Macau -- a region known as the Greater Bay Area -- to create a financial and technology hub that could rival California’s Silicon Valley. OCBC plans to boost technology spending and staff in the region, Tsien said in June. Still, Singapore will remain the most important market for the lender, even though Greater China has emerged as its second-largest location in the past two years, Tsien said. 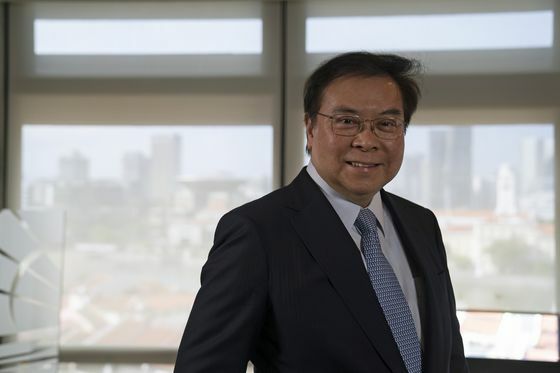 About 16 percent of OCBC’s revenue came from Greater China in 2018, compared with 58 percent from Singapore in the same year, according to its annual report. If a global bank decides to exit the Asian wealth market, OCBC will be interested in looking at that firm’s assets. Speaking on the business outlook, Tsien said the first half of the year will be “challenging” as market woes from 2018 continue to weigh on sentiment and business decisions. Loan growth is likely to slow and the bank will focus on regional trade finance, he said. Tsien signaled that stresses persist in Singapore’s energy industry services sector -- which triggered bad debts at local banks from 2016 -- despite the recent rebound in oil prices. Ample U.S. oil supply has discouraged exploration activities and vessels remain underused, hurting the value of collateral held by banks, according to the CEO. “The lingering effect of that will continue for the banking industry,” Tsien said. OCBC’s non-performing loans ratio rose to 1.49 percent in December 2018 from 1.38 percent three months earlier, according to its latest results. Most of the soured assets are in the oil and gas sector. The bank will publish its first-quarter earnings on May 10.